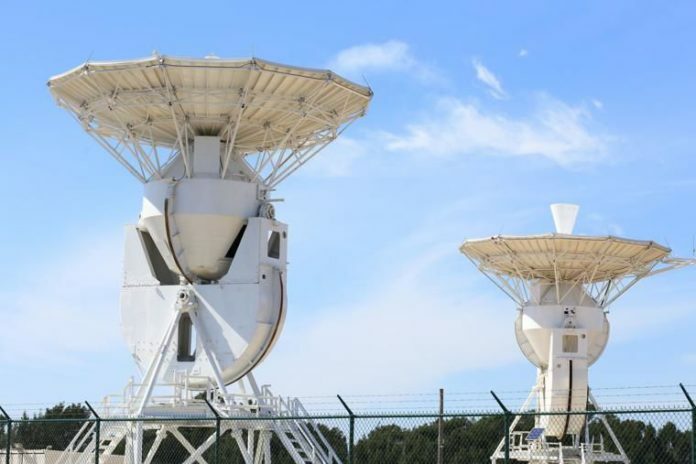 Two large satellite antennas are seen at SpaceX South Texas Ground Tracking Station along Highway 4 at Boca Chica Beach. The Federal Aviation Administration released a Draft Environmental Assessment analyzing a SpaceX proposal to conduct splashdowns in the Gulf of Mexico. “The Gulf of Mexico would serve as a possible splashdown location for Dragon missions originating from the SpaceX South Texas Launch Site (currently under construction) and a contingency landing location for Dragon missions originating from Florida,” the document states. SpaceX needs a re-entry license for spacecraft descending to Earth from the International Space Station, to which the company delivers supplies. SpaceX hopes to one day deliver and return astronauts from the facility, which orbits the planet. The human component to future missions is one reason that SpaceX is looking for another place, aside from the Atlantic and Pacific Oceans, to conduct splashdowns. “The ability to return crew to Earth in a safe and timely manner is extremely important, particularly in cases where human life or health may be in jeopardy,” the document states.